Outspoken radio and TV presenter, Afia Schwarzenegger born Valentina Nana Agyeiwaa Abrokwah has been speaking on the transformation that has taken place in her life over the period. 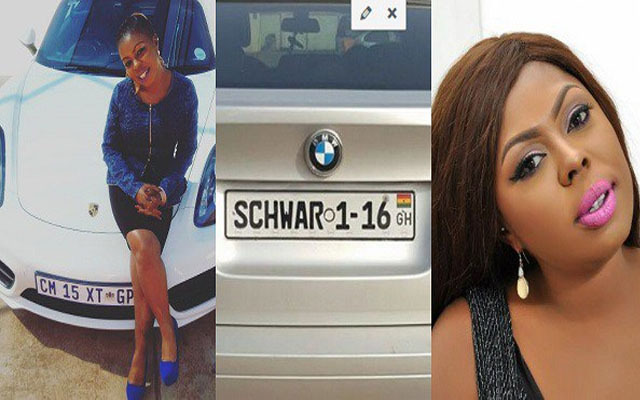 She reveals that she graduated from living in a rented single bedroom apartment to a 7-bedroom luxurious home and from shuttling in “trotro” to owning several fleet of vehicles. According to controversial radio personality, her association with the Moments of Glory Prayer Army (MOGPA) headed by Rev. O.B Junior has helped to transform her life. “I was in a rented single room when I joined MOGPA, but I can testify to the Glory of the Lord of MOGPA that, I now possess a luxurious 7-bedroom house with cars. Aligning myself with MOGPA has been the greatest thing that has ever happened to me. I would admonish the public to join MOGPA for dumbfounding testimonies” Mrs Abrokwah stated. “Due to the enormous blessings and uncommon favour God has conferred on me since my alignment with this Formidable Prayer Army having”, she added.